Kylie Jenner and Tyga are still an item but are no longer living together. E! News reports that a source said that Tyga moved out of Kylie’s $2.7 mansion in Calabasas on Friday. 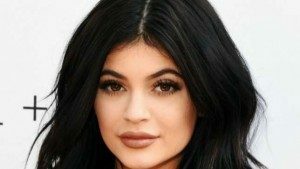 Kylie confirmed on The Ellen DeGeneres Show on Thursday that they’re not broken up. Tyga joined her family for Thanksgiving on Thursday.